Just getting ready to leave to take a look at this. 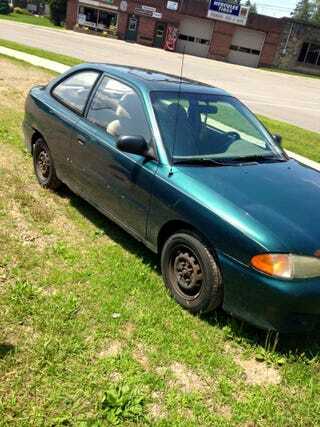 It’s a 1999 Hyundai Accent with 290k miles, a stick, a clear title, and a new battery. The price is $300. If I buy it the plan is to ice race it (it’s like LeMons but it’s on a lake and some of the drivers have been drinking). It will be made into the General Park, with a South Korean flag on the roof and repainted orange. I’m going to try to get it for $200 if it’s not horribly rusted.